Hello, everyone. This is Eric Worre welcoming you to another episode of Leading by Example, your regular episode of energy and power, coming from a beautiful region of the Mornington Peninsula, with blue skies, rolling hills, orchards, olive groves, historic mansions, and over 200 vineyards specialising in Pinot Noir and Chardonnay. And let me tell you, I have someone here with me today, who is known as the Mike Tyson of Network Marketing. Not necessarily because of his intimidating physical characteristics or anything, but because of his intimidating mental characteristics. What I mean by that is he has a mental toughness, the type of mental toughness that’s necessary to really charge and make it to the land of paradise. He’s here to share some information with you. His name is Mr. Ian Campbell. Let me tell you a little bit about Ian. Ian got started in network marketing in 2013 when he was 43 years old, and he has been through a complete evolutionary process to where today he is a millionaire in the industry, he has thousands of people in his organization, and his organization is expanding by somewhere between 500 and 1000 people a month. I’m talking new people are being added to his organization. He lives in Melbourne, Australia with his lovely wife Johanna and his two beautiful children. Ian is here to share some ideas and concepts with you today that will enable you to move your business to the next level. Ian, we want to welcome you to the program. Well, thanks a lot, Eric, and I really do appreciate the introduction. Obviously by that introduction, I’ve got to start working out a little bit more. Well, Ian, let me ask you this, because you got started when you were 43 years old in network marketing. I mean, was this something you were prepped for when you were in your previous job or something. Were they preparing you to be in network marketing? Tell us how that all happened for you. Well, Eric, I grew up in a very middle-class family. I have wonderful parents. My mother and father, Grace and Andrew Campbell, just incredible. Both of them were blue collar workers. My father worked at the Truck Driver for Safeway, and my mother worked at the Hospital. And what I was doing a living, wasn’t working, so I said myself Ian, if you want to get wealthy in life, the best thing that I can do, is be in business for yourself. And it really started me thinking about being in business for myself. Excellent. So, Ian when you first got into network marketing, let me ask you this. Did you go to the top really quickly? Oh, Eric, not hardly. As a matter of fact, through the first 3 years I really floundered. It was terrible. I didn’t do very well in network marketing. I didn’t have somebody that would really mentor me and take me under their wing. However, I was listening to the audios and reading the books. It was changing who I was as a person, but I didn’t have a system that would get me to where I am right now. That’s why I’m really big on teaching people systems on building their network marketing organization, and I believe in the shotgun approach. I don’t believe that any one system is right. 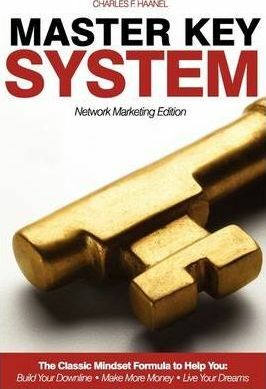 There are numerous systems out there that work in network marketing. Well Ian, tell us a little bit more about these systems. What are some of the systems that you utilize? I mean, you have 500 to 1000 new people coming in every single month. So, What kind of system, because obviously you have some type of system, to get these people running on the right track. Because you know, people want to get started. They say, you know, I want to build the business and so forth. I really want to do something with this thing. I want to generate some income. What do you do with those people? What kind of systems do you teach your people in order to work effectively with the people who come in that really want to make something happen in their business? Great question, Eric. Well, let me say this first. This business of network marketing must be simple. It does take effort. However, especially for the new person coming in that may have never done this before, you must have a very simple system for them to begin with and It’s called the 3 Step Plan, which is one of the greatest systems that I have ever learned. Eric, the most important thing I do, is the 3 Step Plan. It’s so imperative that we get people off to a fast start. I ask them a lot of different questions and in these questions, i will get the answers that will make me understand exactly what these people want to achieve in network marketing. For instance, the first question I will ask them is what do they like to have little more of and less of in life? because that way you’ll find out what’s really important to them and what goals that have in life. Now Eric, this is very important. It was a lesson that was caught, not taught to me, because you need to understand the WHY. Why are people doing this business? Because bad days will come. They will come in network marketing. However, if they understand their WHY and they can focus on what their intent is, they will not quit. So, I go through a whole list of questions within the 3 Step Plan and this will definitely help your new people, not only get off to a fast start, but it will keep them on track. The 3 Step Plan sounds awesome Ian and it’s so much easier to build this business when things are growing very quickly than slowly. 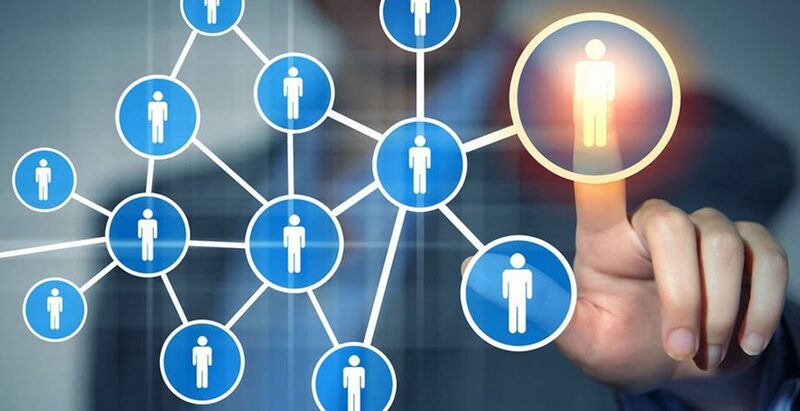 Everybody knows network marketing is a business of rapid growth, rapidly escalating people belief system and getting them even more enthusiastic than we started. And believe me, they’re very enthusiastic when they start. However, if they don’t have these steps of success, if they’re not questioned properly, if they don’t understand their intent of doing this business, then they will quit. So, the first 90 days is extremely, extremely important. 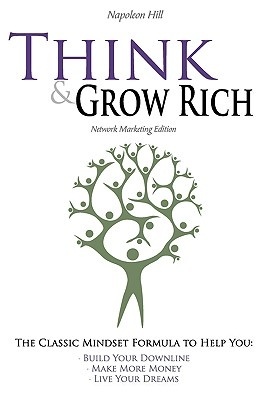 The mind is, Think and Grow Rich / The Master Key System. The mechanism is your company and the method are the skills. For some reason, people want to make Network Marketing complicated, unique and different. Why invest time in things that are not income producing or goal advancing? When you break it all down, in its purest form, we really do 4 tiny things to make a lot of money in Network Marketing. The ones who say “yes” we simply show them how to do the first 3 things over and over until they can do it. Ian, could you elaborate more on this and talk about how this has translated to your success? There are a lot of businessmen who recommend reading self-help books, and listening to guys like Tony Robbins, Brian Tracy and many other motivational speakers. Before I explain this in detail Eric, I want to let you know that Tony Robbins and Brian Tracy are great people. This is not necessarily about them. It’s about their message. You know, 99% of the self-development “gurus” out there have these mantras of: “Whatever it is you do, you gotta take massive action. Keep fighting even if you fall. Quitters don’t win at all” and “You gotta have goals and persistence – written down. Read your “why” until you cry”. While these are great mantras to listen to, they’re not going to bring us any results in our endeavours. They sound great, but they just won’t cut it. We’re in the middle of the summer. You’re in your room and it’s hot inside. Your windows are wide open and your light – a fluorescent tube – is on. In comes a fly. It circles and roams around your room. All of a sudden it darts itself up to your light. You look up and you see the fly banging itself on the fluorescent tube repeatedly. it has persistence, because even though it gets burned by the white-hot light every time it touches the tube, it doesn’t give up. So, it keeps going on and on. What happens? It falls dead on the floor Eric! Ha-ha. So Ian, what does all this mean? The thing is Eric, if we are doing something that does not work, why are we taking action at all? We’re taking massive action, with goals and persistence, oblivious to the fact that our actions have zero impact on our progress. There comes a point in time where we get so physically burned out that we naturally quit. The fly had a choice. Either bang yourself against the fluorescent tube to get the maximum amount of heat and die… or fly close to the tube to get the maximum amount and live. I see Ian. So, what you’re saying is that having a “never quit attitude”, goals and persistence are not the key to succeeding in any field? I once was a “motivational junkie” myself. While it was great for me to develop a strong mentality, all the motivation in the world couldn’t help me build my business, which I was horrible at back then. The key for doing that was skills. It took me three years to realize I needed to develop the correct skills for me to become successful. And that’s something that I’ve learned from my mentor ,who is one of the greatest network marketers known. It was around mid 2015 when I first plugged in to his information on the internet and got in contact with him. That’s when my whole life changed. So, Ian, that’s when you first got introduced to the Skills. Talk to us about that. On September 27th 2018, I earned a scholarship for his course, that started two days later. I always say it was six months of self-discovery. What I was doing back then was commit at least 1 hour every day for 26 weeks, where I’d be reading the Master Key System by Charles F. Hannel. Greatest book I ever read. Widely considered to be the grandfather of the New Thought era, where people actually have a consciousness about the infinite power and potential dwelling within them. I mean let’s be honest. We humans have the power to either build massive cities or destroy them. I can agree with that Ian! There were more daily readings, like chapters from the famous Think and Grow Rich book by Napoleon Hill, the Law of Compensation by Ralph Waldo Emerson and our own writing – meaning the course participants. We wrote weekly blogs chronicling our experiences and growth. It’s pretty inspiring to read each other’s blog and see the individual progress that we had. Next to the reading and writing we learned how to relax our body and mind, inhibiting all thought, completely focused on our true purpose in life. We did this by sitting completely still – and I mean still, no movement whatsoever – and then concentrating for a minimum of 15 minutes daily. Wow Ian, how was that like? I mean what if you were suddenly really itchy? Ha-ha. You deal with it and you focus. It’s a challenge, but you have to believe in it. So, that’s a couple of things with the course. I’ll tell you something about the other course. This is where I’ve learned the skills of network marketing. After three years of hopeless struggle and tens of thousands of dollars in debt, I was finally able to get my business rolling, get out of debt and move to my favourite house. You see, what I’ve learned is that in whatever it is you do, you need to be one thousand percent sure that you operate knowing the correct knowledge. Goals and persistence are great things to have, but they won’t get you anywhere if you don’t know what the heck you’re doing. All the information of today’s self-help guru’s, preaching that you need “thick skin” and “a heart of steel”, is based on hope. Hope is great, but it doesn’t build your business, it doesn’t sell your real estate properties, it doesn’t teach you how to present a TV show. You get the idea. What DOES get you the results you want? Skills. Most importantly, the consistent application of skills. Sounds like common sense, but to most people subconsciously, it just isn’t so common. Otherwise everybody would’ve been rich. That’s why the self-help industry is so huge these days. Now you and I understand Ian, why self-help gurus are making so much money, but can you tell the folks who are watching this at home why that’s the case? Well, simply put, Eric, while I do believe there’s a select group of people out there who truly practice what they teach, 99% of self-help gurus are nothing more than salesmen, capitalizing on people struggles. I can’t remember how many times I’ve heard, “If you want to learn how to finally crack the code of success, then order now” and then you get a set of books or a CD series pitched at you for $500. Soon as you buy it you get hammered with upsell after upsell. “Secret to this, secret to that”. It’s madness! Unfortunately, we all want that motivational “fix” every once in a while, because it’s so easy to become depressed and be in a state of low self-esteem when we don’t feed our minds. It gets worse when we fail, because we don’t see the lessons that we learned. Ian, talk about your journey. What has it been like? What kind of successes have you been able to achieve and how did you do it? Gosh, where do I begin? Well, it all started with me learning how to talk to people’s subconscious mind. I learned how to enrol people into my business effectively and teach this to the people I enrol. Seeing these people get instant results just creates all kinds of positive energy flowing in the team! The beautiful thing about network marketing is every time a business partner that enrolls with a company you’re representing; the company pays you a commission. So, I got myself to earning checks of $3000 a month quickly. I taught my new business partners hands-on how to do exactly the same and they were able to do so if not better. Many people don’t know how good it feels to have a protégé surpass you in achievement levels. I know it gives me the chills, Ian! Exactly. Now before I knew it, I became a top earner in my company with monthly checks of multiple six figures a month. The company would pay me and every fellow business partner on the sales volume of new teams being built. Within four years, me and my team managed to build an organization of over 10,000 active distributors for the company I was representing. Wow, incredible Ian. This must’ve taken a lot of sacrifice. It did. Most definitely these two courses combined have pushed me to my limit and beyond. At the beginning, it felt like torture, but I kept grinding. Before my breakthrough, I was a stay-at-home kind of guy. Never went out. 95% of the time you’d find me in my room behind a computer. I had to let go of all of that. My biggest sacrifice was spending my time indoors and on the internet so I could go out and connect to new people. At the end, it was well worth it! I’ve been blessed to travel the world, going cliff diving, bungee jumping, free falling, surfing, snowboarding. It’s incredible! Ian, what are your favourite destinations? Oh, my goodness, so many: The Great Pyramid of Giza, the Grand Canyon, the Coliseum, the Great Wall of China, Dubai, Vegas, LA, Miami, Punta Cana, Cancun, the Bahamas… I mean, just wonderful places all over the globe! I’m experiencing ecstasy every day Eric! You’re probably having the same thing going for yourself. Yeah Ian, I’m sure you can teach me a thing or two about surfing though. Ha-ha, trust me Eric, I’m still learning every day myself. You can do it. So tell me Ian, are there any charity programs you’re active with? Thanks for bringing that up. As a matter fact, yes. I’m currently helping to meet the needs of families and find a way to improve outcomes for their future. In order to deliver these solutions I know the families need to be fully supported to grow, be cared for and led into environment based on their values and be set up for success. This project is due May 31st, 2020. Once that’s finished, we continue our efforts to develop these families into self-directed thinkers. Good question Eric, . First and foremost, I want these families to be self-sufficient at some point during their lives. Our objective is to make sure they get the best possible teachers and material during their development. Once they go to the higher levels and learn the Master Keys, so they can create the lifestyle they desire for themselves and their families. My dream is to have these multiple families, working in perfect harmony and become leaders, teach all the principles they’ve learned to everybody they know. Sounds wonderful Ian, Maybe one day we’ll witness them all being independent and strong like you are, providing for the greater good. Thanks Eric, I appreciate that. Right now, I’m experiencing liberty and autonomy myself. I just want these kids to enjoy that same privilege. I wake up exhilarated every day knowing that I’m contributing to a greater good. It’s a creative way for me to express my gratitude for the network marketing industry and what it gave me. Most importantly for me is, I genuinely want other people to unlock their own power if you will. It feels great witnessing people following their bliss. The stories I hear in these conversations make my heart float every time. I also donate to any community of my choosing. I love giving back to hardworking people keeping their neighbourhoods peaceful and balanced. Their energy and warmth is most comforting. I have friends in every continent who would happily share a place to sleep with me, just because I help impact their lives for the better. At last, my parents live the life of their dreams. I’ll never forget their sacrifice to give up everything they had – jobs, house and family , tears of joy pour down my face for all of these blessings. You’re a good man, Ian. Touching story. I’ll tell you what: you certainly have given me a fantastic experience in the Mornington Peninsula. So, Ian, thank you for sharing your story with us. Best of luck with everything and we’re looking forward to spending some time with each other in the near future. My pleasure Eric, peace be with you !